My birthday was last Saturday. I had a fantastic weekend of family, shopping and great meals. Believe it or not, my favorite gift was this pressure cooker, which is a gift from my awesome husband. It may not seem romantic, but I'm so happy. I've been considering adding a pressure cooker to my kitchen since Christmas, but I wasn't sure how to use one or if it was worth the investment. After doing some research I decided to go ahead and experiment with pressure cooking. I opted for a stand-alone model, which is safer than the stove top version. I'm looking forward to making beans in minutes, not hours and to cooking a pork shoulder in under an hour, instead of all day in my slow cooker. I'll do a full birthday review later this week and I'll also give you the lowdown on my pressure cooking experience as soon as I use it. Am I the only person who gets excited about new kitchen toys? Happy Birthday! You have to do a review of the pressure cooker. Anything that cooks things faster is a great option for me! Happy Birthday! I can't wait to hear how you like your pressure cooker. I have thought about buying one for several years. Happy belated birthday! Good work hubby! I would be excited to get a pressure cooker too. Looking forward to hearing what you think and seeing some recipes from your test meals. I've been toying with the idea of buying one, so I'm eager to see how you like having a pressure cooker. 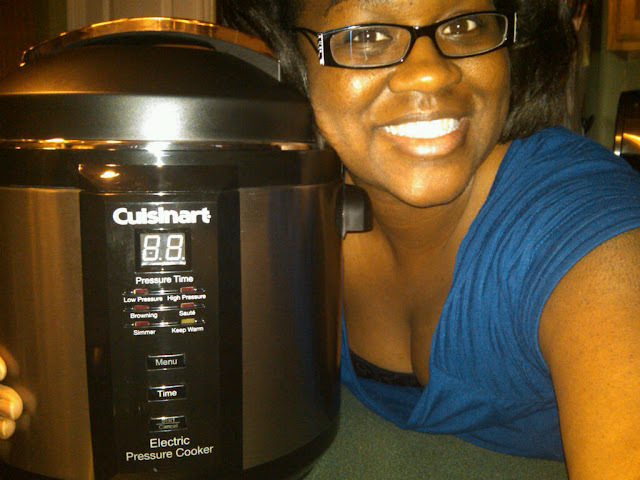 Actually, I think a pressure cooker is a very romantic gift, because it's a gift you love. I'm excited to see what you do with it. Oh so excited. The 10th Anniversary of my 21st Birthday!